Snorkeling is an exciting adventure that can be enjoyed by people of all ages. Not all locations provide the same snorkeling experience, and some are simply better than others. When and where you will snorkel will make a major difference in how much you enjoy the activity. 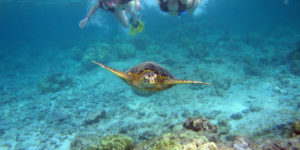 When it comes to snorkeling, Kauai in Hawaii is certainly a treasure trove for enjoying the underwater activity. The Hawaiian island nicknamed “the Garden Isle” contains a number of attractive snorkeling spots that offer plenty of fun and excitement to the vacationers. Here, we have compiled a list of 10 best snorkeling spots that you can find in the island. Lawai Beach is one of the best snorkeling spots in Kauai. The beach contains Beach House Restaurant and Lawai Beach Resort. The restaurants offer excellent dining experience to the visitors. Just make sure to make reservations in advance to enjoy dinning in the restaurant during the night after snorkeling under water. Another great snorkeling spot in Kauai is the Lawi Bay located along the south shore. The place offers breathtaking snorkeling experience any time of the month. And watching the sunset in the horizon after snorkeling all day certainly provides a perfect way to end the day. Milolii Beach is not only great for snorkeling but also boasts of one of the two legal kayak landings in Kauai. Right after the underwater snorkeling adventure, you can enjoy kayaking along the coast for great fun and enjoyment. Pila’a Beach is difficult to access as the bottom of the sea is rocky. It’s also not a good spot for swimming. Yet, the sparsely visited beach offers a relaxing spot for snorkeling. And the trail to the beach is rocky, that makes reaching the spot an exciting and adventurous experience. Kipu Kai Beach located in the south shore in Kauai is only accessible by boat. Yet, it offers plenty of fun and excitement for snorkeling aficionados. The stately mountain ridge – known as the “Hoary Head” -frames the golden sands of the beach providing spectacular view for the visitors. Koloa Landing is a horseshoe based reef that boasts plenty of tropical fish and rich underwater life. The place was actually an old boat launch that is now used as a snorkeling and scuba diving spot. It’s certainly worth a visit due to its extensive and diverse underwater life. Larsen’s Beach is an undeveloped and remote beach that is located on the north shore of Kauai between Waiakalua and Moolaa Bay. The beach is approximately two miles long and is narrow. Still you will have a gem of a time snorkeling underwater in the beach. Prince Kuhio’s beach, also known as PK’s beach, is a favorite spot for surfers. The shore is narrow and small and not a great place for sunbathing. However, the water is calm making it the perfect spot for snorkeling enthusiasts especially during the winters. Rock Quarry Beach is located in the North Shore near the Kilauea River. The beach is easily identifiable as it is located near the rock quarry. Although the place is no longer a functional quarry, the beach is certainly fun to explore by snorkeling underwater. This beach is easily identifiable because of the nearby Kilauea River and rock quarry. It’s no longer a working quarry, but is still fun to explore. The beach has a large calm area which is great for swimming, but can be a bit murky. Finally, Sea Lodge Beach in North Shore is a calm and private beach in Kauai that offers plenty of fun and adventure for snorkeling aficionados. The beach is also known as Kaweonui Beach and is located along the north shore in Kauai. Getting at the beach is adventure in itself as you have to track through half a mile of moderate and slippery trail. Once you arrive at the beach, you can lounge all day under the sun and snorkel underwater in the calm waters of the beach. On a final note, make sure to read the safety instructions and equip the proper snorkeling gear before going underwater to enjoy the activity. Remember that Kauai can be a little more dangerous if proper safety instructions are not followed. 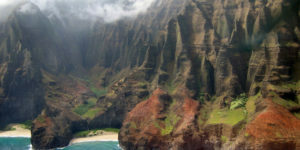 But overall you are sure to have a quality, fun time enjoying snorkeling in Kauai. 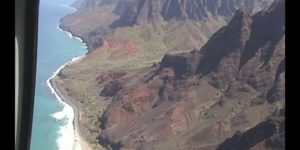 Tripadvisor.com – This page has a lot of useful info on the best snorkelling spots around Kauai.